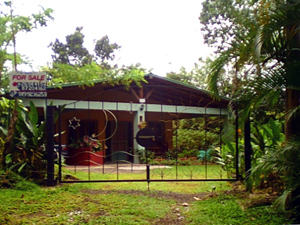 Five years old, this modern home takes excellent adantage of its lush setting just a few minutes from the center of the town of Nueo Arenal. 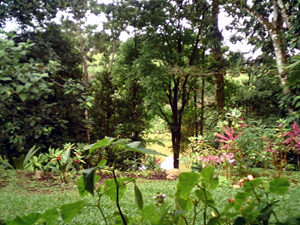 Though it does not have a lake view, it is close to the lake, has nice views of a lovely neighboring pond, and otherwise provides residents the enjoyments of tropical living. The home has 1,200 square feet of living space with an attractive great room, two bedrooms and bathrooms, a large laundry room and locking carport. Its nearly half-acre lot is bordered by an intriguing variety of native trees and there are on the property many fruit trees. 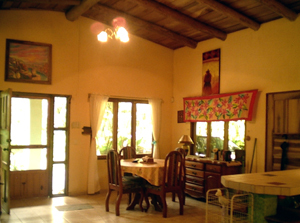 The wide wrap-around veranda is typical of tropical homes as a means to best enjoy the preasurable ambiance of a mildly warm climate enhanced by exotic flora and flourishing wildlife, expecially in the great variety of Costa Rica's delightful birds of many colors and sizes. At $115,000, this is an exellent buy for those looking for a tropical vacation getaway with possible rental income or for a permanent retirement home. We will be adding more photos. 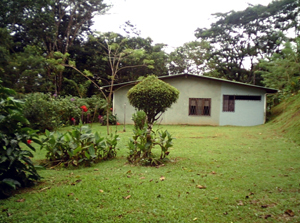 The home is in an attractive wooded setting a few minutes from the business center of Nuevo Arenal. The home's lush setting includes large lawns. Recent remodeling shows in the differing shades of paint. 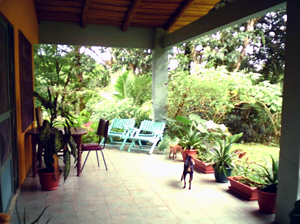 The wide veranda provides enhanced enjoyment of the tropical limate and surroundings. Visible through bordering trees is the lovely large pond of a neighbor. The interior is open, bright, and attractive. 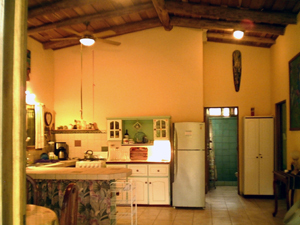 The large kitchen area has a breakfast bar. 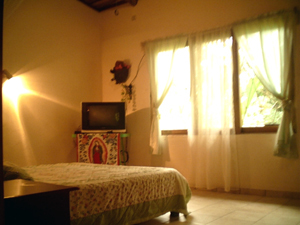 The master bedroom has recently been remodeled and expanded.. 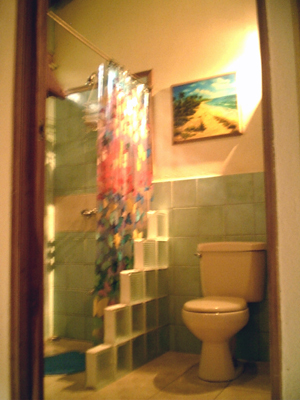 The home has two modern bathrooms with nice fixtures.